In need of a new selfie-centric smartphone? Check this out! 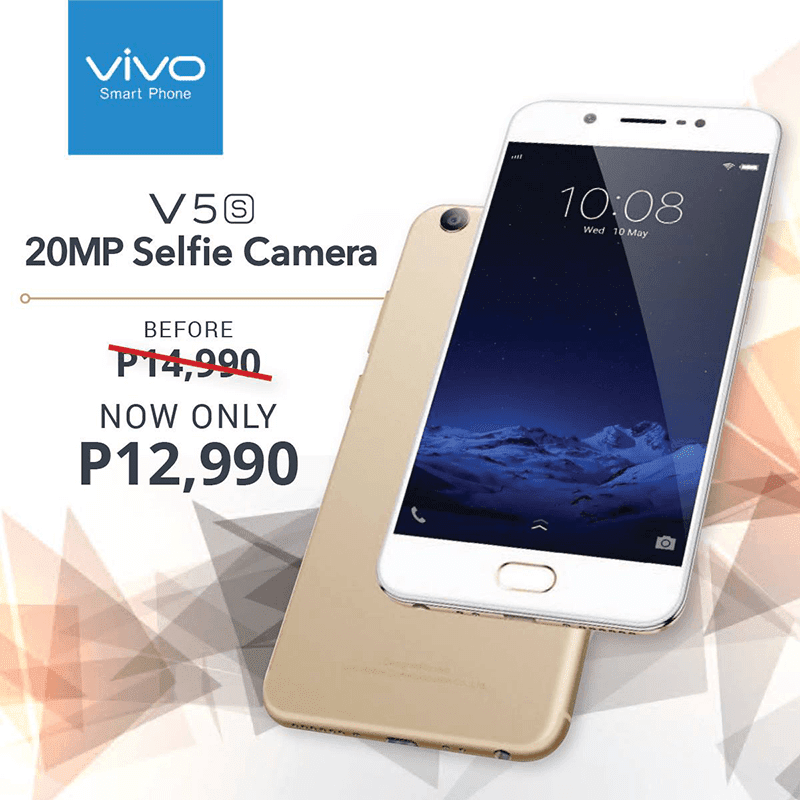 Vivo Philippines has just dropped the official price of the Vivo V5s. From PHP 14,990, it is now available for just PHP 12,990 starting today. Related: Vivo V5s Review - Capable Selfie And Audio Machine, Improved! In case you missed it, the Vivo V5s is a highly capable selfie-focused smartphone paired w decent specs. It has a 1.5 GHz 64 bit MT6750 chip, 4 GB RAM, and 64 GB of expandable storage. It highlights a 20 MP f/2.0 Sony IMX376 w/ softlight flash, advanced beautification features, and groufie panorama.